Business Has Changed. Now What? If you’re like most business owners, you’ve sacrificed a lot for your company: worked long hours, juggled payroll and vendors, and missed family events. Until recently, the business did okay and provided you a nice income. Today, things have changed. The past few years have been tumultuous for the business and financial markets. The “Great Recession” brought with it considerable contraction and upheaval for many companies. An improving economy has posed its own challenges as efforts to shed excess capacity and deliver have left many business owners unable to meet rising demand. You certainly didn’t plan for this to happen, but your business is struggling… and the pressure is mounting. What’s the answer? A Business Turnaround. A guided turnaround works well for business owners who realize that trying something different is better than continuing on the present course and risking the life of their business. 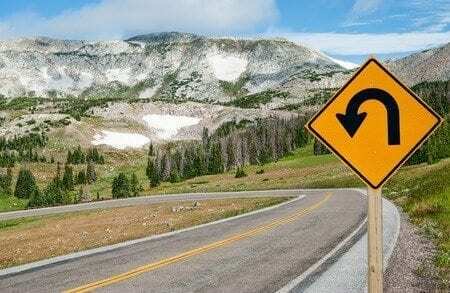 What exactly is involved in a business turnaround? What about my reputation in the community? Is there a proven turnaround strategy I can rely on? We’re passionate about helping you maximize and solve your financial opportunities and challenges, at an affordable cost and in an empathetic manner. Our business is your business and we are dedicated to working with owners to develop a specific turnaround plan to get you back on the right track. A guide to accomplish this is the Turnaround Roadmap. Our experiences are based on our decades of experience managing business workouts through tough times and helping owners revitalize their companies. Manage a business with annual revenue of $2 Million to $100 Million. How Does the Business Turnaround Process Work? First, we will stabilize your cash flow so we can calm things down with your lenders and creditors. Second, we will conduct a series of tests to diagnose your business problems. Based on the results, we’ll recommend solutions, prepare a cash forecast, and develop a written turnaround plan for your company. We have the ability to not only analyze financials but also the operations of the business. Third, we will prepare a series of action items and help you implement them as you guide the turnaround to a successful conclusion. Our turnaround assessments can typically be completed in approximately one month. In difficult cases, additional time may be required. If you were looking for a medical specialist to treat a life-threatening condition, you’d naturally want one who knows what he’s doing. We’ve been doing turnarounds for a long time and have the expertise and industry credentials to prove it. A long list of clients have successfully turned their companies around and regained their profitability. It’s a reasonable bet you can, too. Aaron at Cayenne had my best interest from start to finish. He took the time to understand my business, identify the problem areas and make specific recommendations on both the operations and finances. They provided us a solid assessment of our business and a turnaround plan to restructure the company. He also worked with us to refer a new financing source to help recapitalize the business and get us back on the right track. Are We The Right Turnaround Specialist For You? The answer depends on several factors. We produce the best results for clients who have the will to fix their companies and who can adapt to modest change. However, there isn’t much we can do if you believe that borrowing more money will heal an unprofitable business. The first step is a complimentary half-hour telephone conversation with one of our turnaround specialists. This enables you to learn more about the turnaround process and what is involved. The call also allows you to learn more about us and how we can help you. You’ll know at the end of the call if the chemistry is right and you want to proceed. Please complete the form below to schedule the initial call.